Many of the Trader Joe's detractors that I've encountered compare the store to Whole Foods and state that Trader Joe's just isn't as healthy. While the average product at TJ's may be less healthy than the average product at WF, you CAN shop extremely healthily at TJ's if you want to—you just need the willpower to avoid the cookie butter aisle. Apparently, you can find pretty much anything else made of cauliflower now. And my argument is and always has been that the average product at Trader Joe's is healthier than the average product at an average grocery store. Whole Foods was never an option for me because I don't make seven figures a year...yet. If you really wanted to, you could do the majority of your shopping at TJ's whether you're whole organic, kosher, low carb, low fat, vegan, pescatarian, or whatever—and do it for far less money than you could at Whole Foods. That brings me to my next point. These little guys might be kinda pricey for some of us at $4 for the bag of only eight little snacks. That's 50 cents per disc. But at Whole Foods, a comparable product would most likely be twice as much. I'm not hating on Whole Foods or their shoppers at all. Just, again, I'm not a rich man and Whole Foods is a rich man's store so far as I can tell. But regardless of which grocery store it comes from, a product flaunting only two ingredients is usually pretty darn healthy. I guess you could hold out for organic figs and walnuts, but you'd be looking at an even heftier price tag. I know I'd be a lot healthier if everything I ate contained only two ingredients. But enough talk of health and grocery stores and price tags. How do these happy fig discs taste? Surprisingly...they taste like figs. I guess that FIGures <ba-dum-bum-TSHH>. They're very sweet. Figs definitely steal the show here. 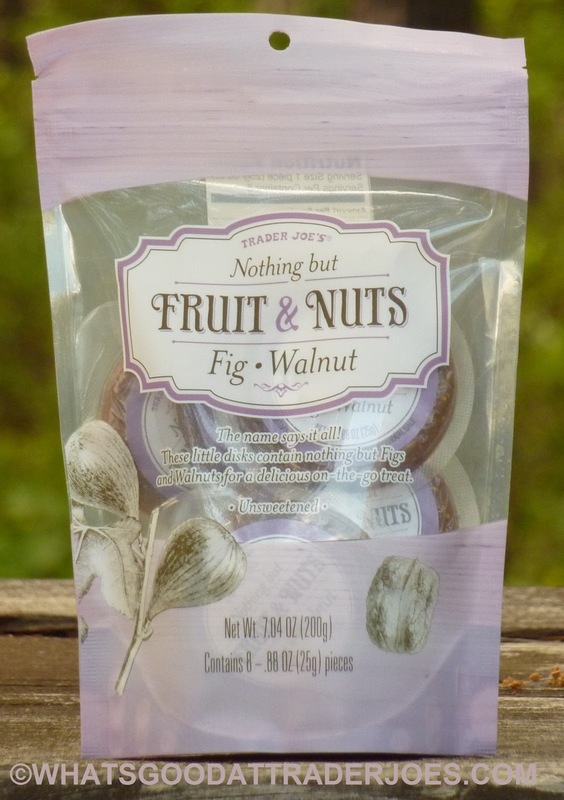 Walnuts are present and provide just a hint of nutty flavor and crunchy texture, but if you're not a fan of figs, you're not going to enjoy this product. These circular, snackular fruit and nut bites are very soft, very moist, and in my opinion, very tasty. Sonia likes the taste at least as much as I do, and she likes that they're only 70 calories a piece. She points out that even though they're fairly small, they're very dense and satisfying—more than enough to keep your blood sugar up and curb your sweet tooth cravings. Four stars from her. Again, I'm mystified that these are imported all the way from Turkey. I guess Turkish figs are, like, really good? I wish there were more walnuts, and I wish they were somehow a little cheaper, but all in all, this is a solid healthy snack. Three and a half stars from me. Hang on... How can those nutritional values be correct? They are definitely using some labeling trickery / rounding. How can they contain walnuts, yet have 0 fat? Not a nutritionist, but I'm guessing it's the same as labeling food that has hydrogenated oils as "zero trans fat." It has to contain less than half a gram per serving and they round down to 0. I really love these! 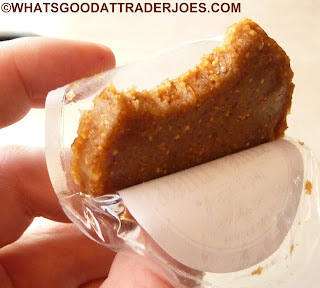 I need a sturdy afternoon snack so i like to tear this into chunks and add to my cup of plain greek yogurt which works well to keep my energy up for a few hours. Very good! However, also wish they had more Walnuts. I'll have some on the side. I love these things! One satisfies my hunger and cravings. They're so handy I put them in my shirt pocket for a quick snack whenever. I think the disc format has a future! Wish they made one out of pemmican.